The Wild Atlantic Book Club: "Jagannath"
I finished this book on the same day I started it. I was willing to lose some sleep to get to the last page. Put simply - Jagannath is unstoppable! A mysteriously creature appears from the ocean's floor on a mission to destroy humanity. Its the blend of action, mythology and science fiction that made the reading this book a real pleasure. Author Kerry Alan Denney has a sophisticated writing style that kept me interested all the way through. He creates a completely believable protagonist with good supporting characters. 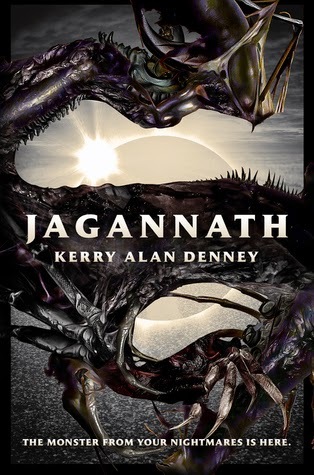 Set in the future, Jagannath is an ambitious story but the author creates a good foundation of realism in order to make the fantastical elements believable. This is one of the great books I have read in a while and I would highly recommend it. Thanks so much to Cyril Patrick Feerick for the excellent review, and to Cyril and Sara Knight for all the Tweets and Facebook shares. The Drunken Druid rocks!